The purpose remains what it has always been—to Clear every being on Earth. But although the technical procedures have long existed, so momentous an undertaking requires something else as well. Specifically, the means to ensure that what auditors deliver to their preclears is the exact, correct technology. 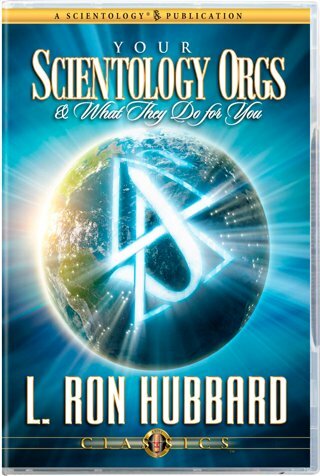 In this definitive lecture on how Scientology organizations fulfill their supreme responsibilities, L. Ron Hubbard not only reveals the crucial link between technology and organization but, within that relationship, the accomplishment of World Clearing. As Scientology expands ever more deeply and broadly across the planet, the purpose remains what it has always been—to Clear every being on Earth. But although the technical procedures have long existed to reach that target, so momentous an undertaking requires something else as well. Specifically, the means to ensure that regardless of whether a session takes place in Los Angeles, London, Johannesburg or Keokuk, what auditors deliver to their preclears is the exact, correct technology, applied down to the last comma of the HCOB. The need to accomplish that degree of duplication brings into focus the paramount importance of Scientology organizations. For upon the successful execution of their functions depends whether Man goes free. In this definitive lecture on how orgs fulfill their supreme responsibilities, L. Ron Hubbard not only reveals the crucial link between technology and organization but, within that relationship, the accomplishment of World Clearing.